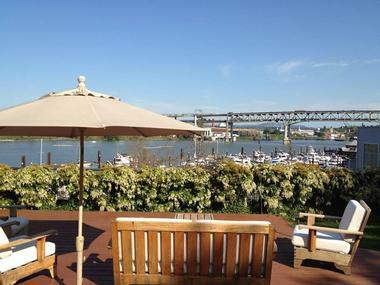 The Kimpton RiverPlace Hotel is a refined lodge-inspired oceanfront hotel in the heart of Portland, OR. Located on a charming pedestrian river walk south of the city's downtown district, the inviting retreat offers deluxe accommodations, award-winning cuisine and wine, an array of facilities and amenities and warm, welcoming service and hospitality. Ideally situated for exploring the vibrant urban buzz of Portland or relaxing in peace and comfort, the Kimpton RiverPlace Hotel is within walking distance of many restaurants, cafes, bars and coffee shops, as well as stores, museums, galleries and more. Hailed as the birthplace of craft beer, there are many microbreweries and distilleries to visit, while foodies will delight in the array of food trucks to be found throughout the city. Outdoor enthusiasts and adventurers can hike, bike or jog on the city's countless trails, head to the nearby slopes for skiing in the winter or enjoy a variety of watersports in the summer. The Kimpton RiverPlace Hotel offers a variety of deluxe accommodations from standard guestrooms to specialty suites, and marina view suites, all of which feature comfortable contemporary decor, modern amenities, and beautiful views. Guest room amenities include 37-inch flat panel televisions with CD/DVD players, Bose or Boston Acoustics nightstand music players, fully-stocked mini bars, coffee makers with complimentary tea and coffee, and wireless high-speed Internet. Deluxe and Riverfront Deluxe Rooms are 350 square feet in size and feature one king or two double beds with crisp linens, private bathrooms with walk-in showers, thick towels and organic bath products, work desks and chairs and modern amenities. Deluxe Rooms enjoy views over the hotel courtyard and the city, and Riverfront Deluxe Rooms look out over the river. 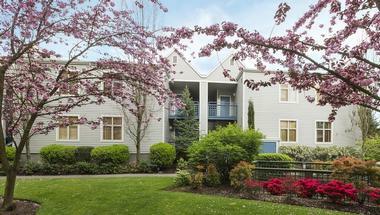 RiverFront or City FirePlace Suites add a touch of spacious luxury with separate bedrooms and living spaces, private bathrooms with enclosed showers and jetted tubs, wood-burning fireplaces, and beautiful views of the waterfront or the Portland skyline. Executive Suites are 500 square feet in size and offer king-size bedrooms, private bathrooms with enclosed showers and jetted tubs, and lovely views of the hotel courtyard, city skyline or riverfront. 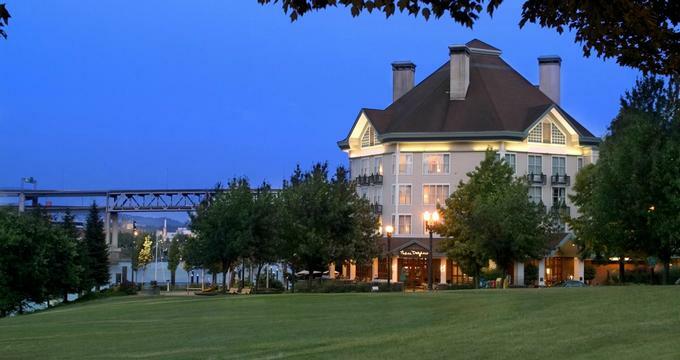 Grand Suites are 1,100 square feet in size and boast panoramic views of the Willamette River and Tom McCall Park. These multi-room suites include living rooms with wood-burning fireplaces, dining areas with seating for six, king bedrooms and private bathrooms with jetted spa tubs. 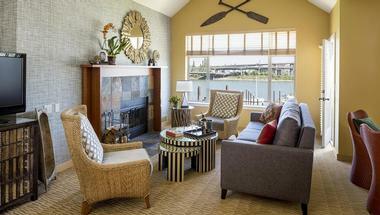 Marina View Suites offer the ultimate in luxury waterfront living and are available in one or two-bedroom suites. The 885 and 1,285 square foot suites are spacious and modern with high-end amenities such as fully equipped kitchens, wood-burning fireplaces and private balconies with sensational views. 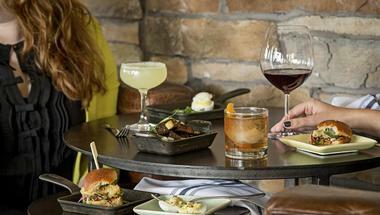 Three Degrees Restaurant serves fresh, seasonal fare in a picturesque waterside setting. One of the city's most popular eateries, Three Degrees is open for breakfast, lunch, and dinner and presents a menu of fresh seafood, meats, vegetables and salads that have locally sourced from surrounding farms and producers. Tuck into house-cured salmon and eggs benedict for breakfast, and an array of appetizers, fresh salads, hearty entrees and decadent desserts for dinner, accompanied by a selection of classic cocktails, local craft beers and wines from around the world. Amenities at the Kimpton RiverPlace Hotel include an award-winning restaurant and bar, complimentary morning coffee and tea service in the lobby, a daily hosted wine reception and 24-hour room service. A yoga mat can be found in every room,and complimentary hotel bicycles are available to use for exploring the city. A child-friendly DVD library offers in-house entertainment, and a sundry shop sells local refreshments, local snacks, and souvenirs. Additional guest services include concierge services and valet parking for an extra fee. In-room spa services including eco-friendly treatments such as facials, body treatments, and massages can be arranged and enjoyed in the comfort of guest rooms. The Kimpton RiverPlace Hotel offers a range of beautiful venues and settings for weddings, ceremonies, celebrations and other special occasions. Catering for up to 250 guests, venues range from the outdoor courtyard patio that overlooks the majestic river and marina to the magnificent Marina Ballroom with its floor-to-ceiling windows and magical light. Event services include in-house catering by Three Degrees Restaurant, access to a full-service, onsite wedding specialist and room blocks for groups of family and friends. 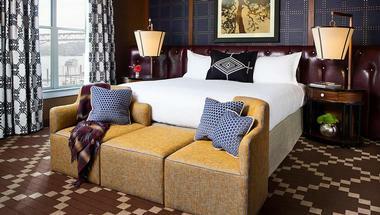 Back to: Luxury Weekend Getaways for Couples and Best Romantic Things to Do in Portland.